The Montville Township Women's Club is sponsoring a Shoe Collection to benefit families impacted by natural disasters. 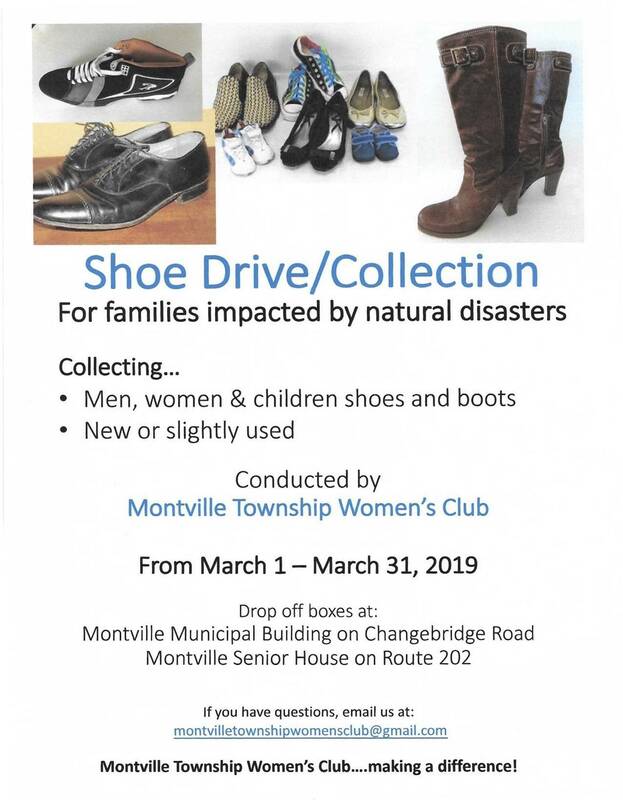 Men's, women's and children's new or gently used shoes and boots are requested to be dropped off at the collection boxes which are at the Montville Township Senior House and Township Town Hall. Get a head start on spring closet cleaning and help families in need!